So How to get your credit score? Actually, it's very easy and simple - here we've reviewed all the relevant and easy ways to check your credit score. So you want to find your credit score easily? Getting your and credit reports nowadays has become easier than it was a decade ago. There are a few ways by which you can get your score. These include the credit cards or even some other loan statements. There has been a boom in the number of the credit card providers who are providing reports to customers. Moreover, you can also see the reports online without costing anything. Your credit report information includes your address, the number of the credit accounts you have and loans repayments. It is important because it will also indicate whether you’ve been sued for bankruptcy. Once in a year, the federal law has made it possible for you to view your reports freely. Basically, you can get your reports from any of the following; Experian, Equifax and Transunion. These can all be accessed from the AnnualCreditReport.com. The credit scores are mainly calculated on the basis of the information obtained from the credit reports. The importance of being with this is that, lending companies will look at the score. If the credit score is that important, so how do you get your score? If you want to know how well you are performing financially, credit cards will do all the magic. As the statistics indicate, 50,000,000+ of the American population are using FICO to get their credit card statement. According to FICO, the number of the consumers scoring in a super-prime range is rising, usually 800+. By April 2016, the more than 20% of the Americans were in this range. Ever since FICO began tracking the reports, back in 2005, this was the highest rise. The most widely used score ranges from 350 to 800. if you are having a report indicating less than 350, say, 200, then this has a negative effect. If your report indicates something above 800, then you have better odds to get a loan or any other service. Therefore, on the FICO, the higher the number, the better. If your report on the FICO scale indicates a number above 750, you are likely to qualify for the best rates. Now if your score is below 700, say 650, then you are likely to pay up higher interest loans. Chances of getting the loan with lower scores are low. If you are lucky to qualify for one, then be prepared for very high-interest rates on the loans. The importance of making sure that your credit report stays in a good mix is really simple. Imagine having a score of 659, with this, you could qualify to get a loan slightly at 5.3%. lower than that, a person having a score of 680 would qualify for the same loan at 4.7%. Even lower than that, having a score of 700 would make you qualify for the same loan with around 4.2%. therefore, the higher the rate the better the interest rates. With the score being 659, that would be about $950 in a year, less in interest. If you spread this across the life span of the loan, that would amount to $28,500. If you would like to reduce your credit card interest rate – better to start here. Calculation of the score and the interest rates (which is important for many kinds of investments) is well spread across a number of factors. if you wanted to get a loan, a certain element has to be put in weight. First, 35% of the final rate will have to come from your payment history. Another aspect they will consider is the amount you owe, again, that makes up 30% of the rate. 10% comes from the types of credits you use. If you apply for a new credit, that will account for 10% and finally, 15% comes from the length of the history. Different lenders will use different scores. However, FICO score is widely used. CreditKarma.com a new site offering a different score. After getting the score with the FICO, you could try and compare it with what is in Credit Karma. This site uses a score slightly different from the FICO score. It is known the VantageScore. Like FICO it has a range of 300 to 850. However, the average VantageScore in the U.S is 673, this was in 2016. Therefore, it is good to keep a track of your credit reporting. From one month to another, the score will be fluctuating, this again will depend on your everyday spending. If you are not comfortable with FICO or Credit Karma, or any other online companies, perhaps your financial institution can help you. This hasn’t been so well advanced compared to an online platform. Most financial institutions started giving outscore not long ago. This was initiated by Barclays and Discover. More and more banks are joining the movement. From the statistics, financial institutions only account for 20% of the general population who will use them to get their score. Majorly, there are three credit bureaus. These are; Transunion, Experian, and the Equifax. Through their website, you could purchase a complete credit report. However, before getting access to your credit score, you will need to answer a few basic question. 90% of the makeup questions, you already have the answer. In addition, you will need to provide personal identification information. Getting your credit report alongside your score. 80% of the people are able to identify errors in their reports through getting credit card reports. You understand that errors in your report may affect your score. Within 12 months, 44% of the adults have not received their score. You need to be concerned with every report concerning your credit card. Anyway, even a bad credit it’s not the end of the world – we’ve already written a broad post on how to repair a bad credit. Still not working? The financial institutions and the credit bureaus? Perhaps you should try the free credit score online services. These do not ask much about your credit information. Some include; CreditSesame.com and some others. You need to be careful since some of the online credit services as they will ask for even your credit number. You need to be careful about sites that claim to offer a free service but in contrast they do not. For example, FreecreditScore.com. You are to pay $1 before you could access your credit score. 70% of the people are usually in this bracket, with no escape route. Experts say that most of the online services, though they do not ask for much, are not reliable. However, a big percentage of the general population would go for the online services to get their credit score. These are companies that allow individuals to monitor their credit reports with a 99.9% in accuracy. This will, however, depend on the company you chose. Some are very efficient while some others are not. However, for better results, you will be required to pay up a monthly fee. 40% or less are the people who have fallen victim of credit card theft. If you are susceptible, then you need credit card monitoring service. Through each credit bureau, you can find a credit monitoring service. This will help you track down the performance in your credit reports and also help you find your credit score. MyFico.com is one of the credit monitoring services that you can use to your advantage. Back in 2014, there were 12.7 million victims of identity theft. With the credit monitoring service company, you can be sure to get the best protection ever. Before signing the deal, it is imperative to make sure that the company you are signing in for is legit. And again, make sure that their response rate is something that you can work with. It matters a lot. There are a lot more reasons to chose a credit monitoring service. In fact, 70% will choose it for the purpose of security alone. Security, safety, and a ready access are among the reasons why you should choose a credit monitoring service. 95% of all the cases involving the credit cards have been solved prior to using a credit monitoring service. It is important that you get some daily alerts in case some goes wrong. In addition to that, get protection against stolen or lost property. If you go to AnnualCreditReport.com, you will get everything about your credit score. You can view your score once per year. What makes it exceptional is their Fair Credit Reporting Act. It is the right of every person to be entitled to a free credit report once in every year. You can request a report by contacting your bureaus. However, more importantly, the Bureau will not give you free credit report. If need be, you need to contact them for your credit score. To get the free annual credit reports, you will need to visit the site aforementioned. Once there, prepare yourself for mind blowing questions. As a matter of fact, 99.99% of the questions are “trick-questions.” 4 out 10 of most people will fail in securing the right answer. 60% of the credit score is erroneous. 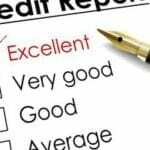 Credit reports may contain errors and this negatively affects your credit score. 2 out 8 cases of credit reports may contain someone else’s reports and transactions and this may affect your score. In a nutshell, it is important getting your score, alongside with that, it would really help a lot if you settled down to finding your report and reviewing it. ← How to Invest In Fintech?